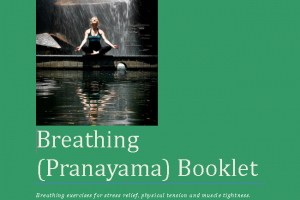 Breathing exercises for stress relief, physical tension and muscle tightness. 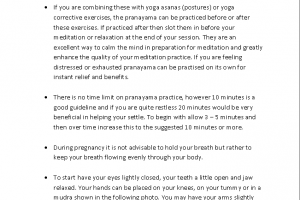 There are numerous benefits of pranayama, here are just a few - the improvement of memory and concentration levels, improved lung function as we age. It can even reverse or reduce the effects of aging which includes joint pain, loss of vitality, stiffening muscles, rheumatism, less flexible joints, headaches, sluggish diaphragm, backaches and hardening of the arteries. It activates the parasympathetic nervous system and feelings of well - being are produced. Yoga is not a substitute for conventional western medication; please consult your medical professional before starting a yoga practice. This book is available on Amazon through Kindle e-Books for just $1.99. I have been doing Pranayamic breathing for about 15 years now, though having learned only the Kundalini style. This book was like opening up a window that I didn't realize was there! Being in the middle of Texas, I think my favorite one was the Cooling Breath but I really loved discovering new styles. Any yoga that I have practiced over a long period has had truly relaxing effects. This has mostly included some form of breath control. 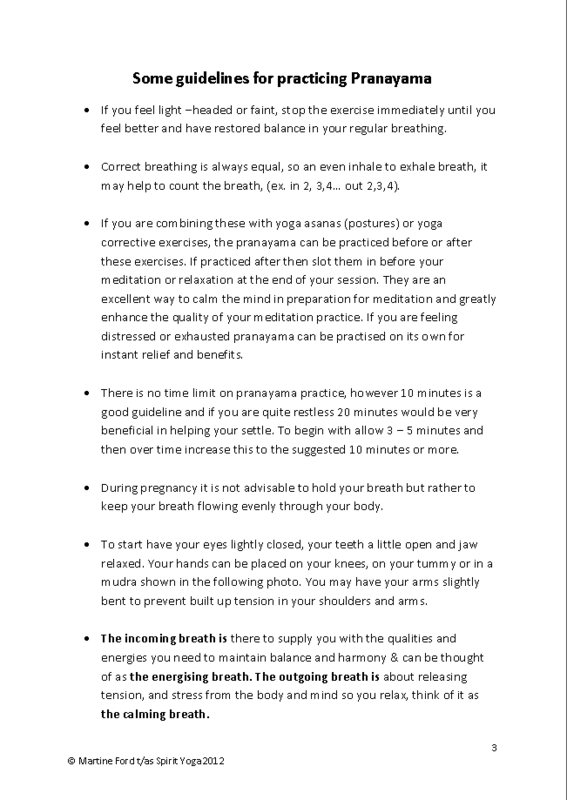 I have always been completely unable to do this is due to asthma and I think this book may have too many hard exercises for those with breathing problems. There are a couple that can be done when there are no difficulties in breathing and the relaxation poses I am sure will be beneficial. It is always helpful to have quiet and slow time, this can only be healthy. There are some health benefits cited and these relate to physical and spiritual beliefs. I am not sure and maybe this is part of the clash between western and eastern medicine. I do know that those yogis that are steeped in the practice are capable of extraordinary feats and do appear to have longevity coupled with good health. This is an interesting book with some practices clearly explained and shown in photographs and it clearly states which are easier poses and should be possible to try out without distress or medical worries. I think I prefer to do this sort of practice at a class with a trained instructor. For those without breathing problems this may be the ideal booklet to use at home. 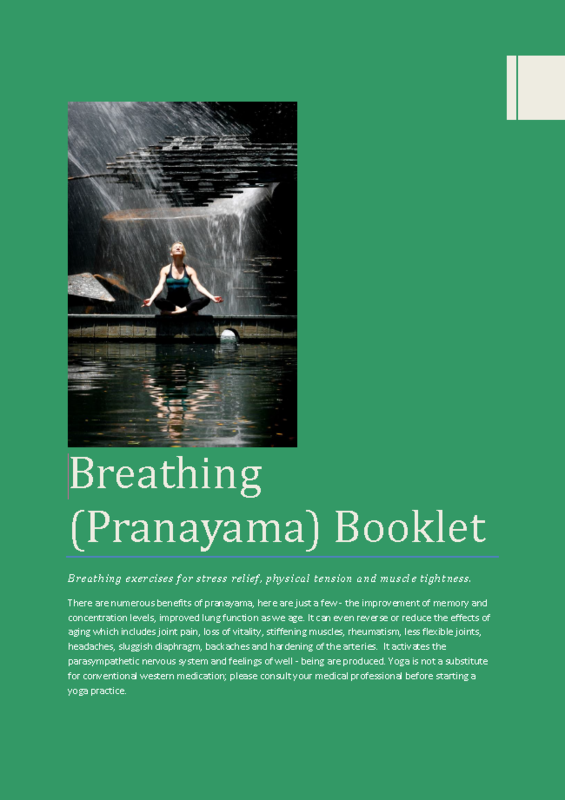 "Have just finished your pranayama booklet an idea suggested by my physiotherapist who treats me for chronic pain due to hypermobility syndrome, as ever his guidance was spot on thank you for the clarity and concise nature."